For most parents, the moments of reading books to their children are some of the most treasured memories. Moms enjoy the quite of reading to their children, and dads love the soft snuggles before bedtime. What a great way to end the day than to spend it reading to your child! A question, however, remains. 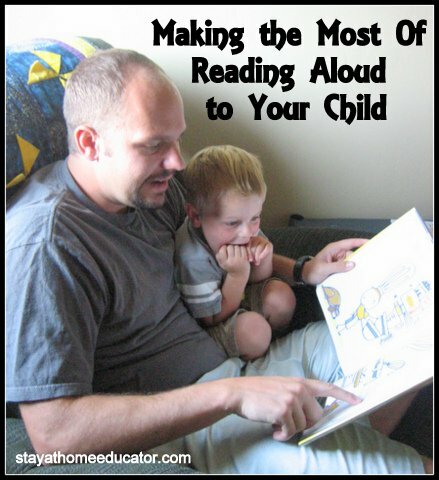 Are you making the most of reading aloud to your children? There is a tremendous amount of teaching and learning that can take place during this familiar bedtime ritual. Effective read-alouds take place in three parts: before reading, during reading, and after reading, and require active involvement from both the parent and the child. Each of these periods provides parents with opportunities to teach important reading behaviors; things that all active readers do. These are called reading strategies and skills and they are vital to success in reading comprehension. Modeling such behaviors teaches your child how to read effectively and getting started may be even easier than anticipated. Ask your child to look at the cover of the book and explain what he/she thinks it is about. Read the story in a natural voice. Read slowing as though you are speaking to your child, and with slightly exaggerated expressions, and voices are always fun, too. Point out details in the illustrations to help your child visualize the story. When appropriate, stop to check or revise those predictions. Ask you child questions to check their comprehension. As toddlers, this means mostly yes or no questions, or your toddler may be able to answer name questions. Once a child is closer to preschool age (three years), he/she can begin to answer how and why questions, which are more open ended. Invite your child to retell the story. It is ok to use the illustrations and walk through the book again. Ask your child what his/her favorite parts were. Then, share yours. If desired, do an extension activity relating back to the story, such as a science experiment, craft, or small world play. This kind of reading interaction models for children what active readers do. They naturally participate in reading strategies and develop reading skills that are formally taught in schools and research based curricula. This jump start in reading is beneficial to all children and don’t be surprised if once you start incorporating these strategies that your child may begin asking to read the same story over and over again. His understanding of the story has increased, thus making it more enjoyable to read or listen to stories and that is motivating. What a wonderful resource you have created. I love your tips. Great tips. Some that I haven’t thought of before. Thanks for sharing at Mom’s Library!